I’m very glad to share I have been writing again! I sat down, opened the file, read what I had already written – I’ve done this before with no results – and when I reached the end of the text another line came to my mind, then another, and before I knew it 1000 words were knocked out and my mind was flying. It was bliss. I’ve since added more words, plotted the next couple of chapters, and fleshed out an important character I didn’t yet know very well. This fed the creativity in my brain for the cosplay costume I am making. I was becoming so stale it was disconcerting and depressing. I can’t express how great it feels to get things moving once more. One thing I did discover is I need to ignore the distractions, specifically a person whose negativity is counterproductive. I shut the door, blast the Netflix or music and get busy writing and sewing. Woo hoo, it’s fun. I spent four days in the LA area with my sister, Mary, and I think that started the brain cleansing. The laughing we did felt great. A good, long, loud belly laugh does wonders for the perspective. We spent hours at the ocean, we cruised down one canyon and up another listening to great music, singing, and remembering. 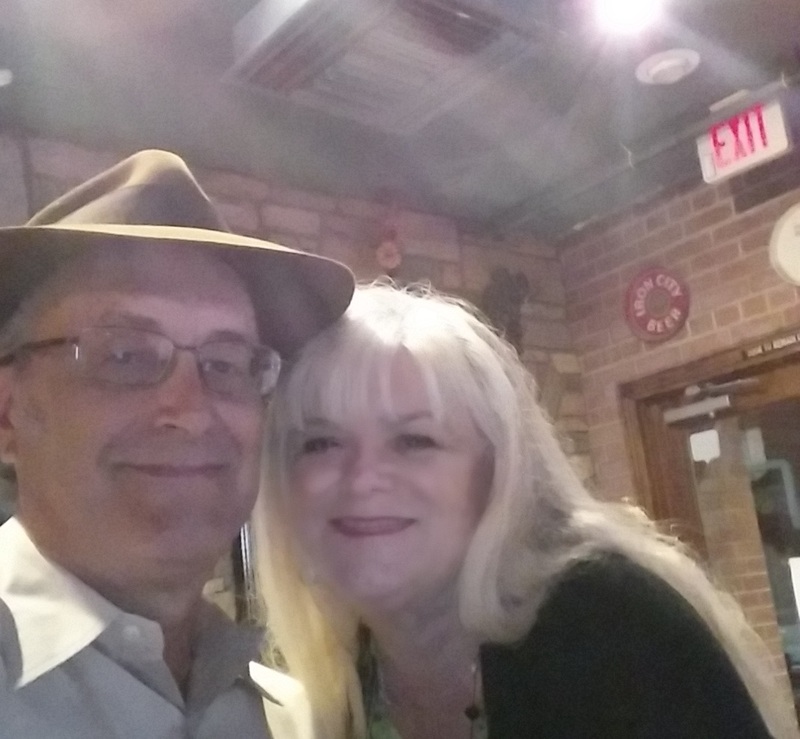 Went to a wine tasting, had breakfast at Weiler’s-twice-and spent plenty of time with Melissa and Charlie (love kissing that boy.) Got a little too much sun. I felt young, bright, free, and adventurous. It was a perfect respite from the tension that flows from the negative person in my house. I would have liked to have Chuck along but this was a girls trip. Next time! The nights are cooling off, finally! The days are still too close to hell fire for me, but thank goodness for refrigeration and lots of fans to keep the air moving. My nephew is holding his own in Army basic, hubby is busy with his leather working, my kids are busy productive humans, and life is going on. My actual birthday is this Monday, but since hubby has to work 1pm-11pm that day he gave me my birthday gift last night. He nailed it! That man knows me well. Started my birthday celebration at Gentle Ben’s. A college landmark just off the University of Arizona campus, although businesses on University Blvd are considered part of the campus thanks to swarms of students filling the area, it was fun to be surrounded by the energy of youth on a Friday night. We had a wonderful server who enjoyed our celebration as much as we did. She laughed with us and took good care of us. Wine for me, beer for him and a yummy appetizer. We listened to the pep rally for the UA Wildcats football game occurring across the street, and people watched the herds of humans moving up and down, in and out. The next part of the evening was my actual gift. 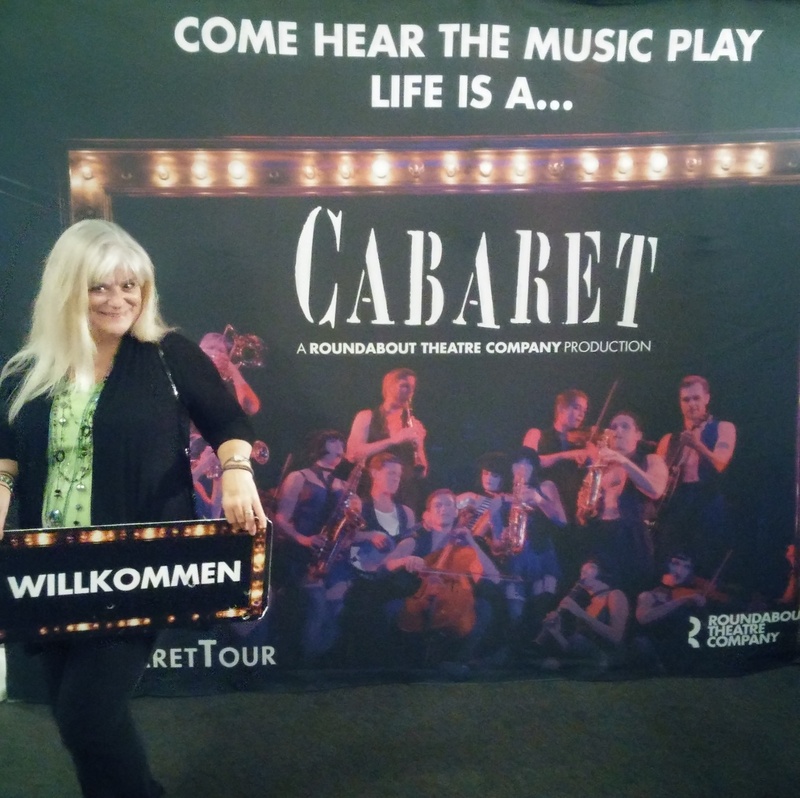 Tickets to the Broadway touring company presentation of Cabaret! It was fantastic. We had good seats in Centennial Hall, were feeling relaxed thanks to the drinks, and sat back to let the story and song flow over us. If you don’t know the story, and the play is the best way to experience it, there are some hilarious scenes, some heartwarming and romantic scenes, and scenes that will shock and disturb you, with the story set in pre-WWII Berlin. The performers did a great job, the choreography was spot on, the musicians immersed themselves in the cast, and the set was dramatic and brilliant. I liked it! Thanks Chuck XOXOXO. On our way back to our car we walked past my absolute favorite building on the UA campus. 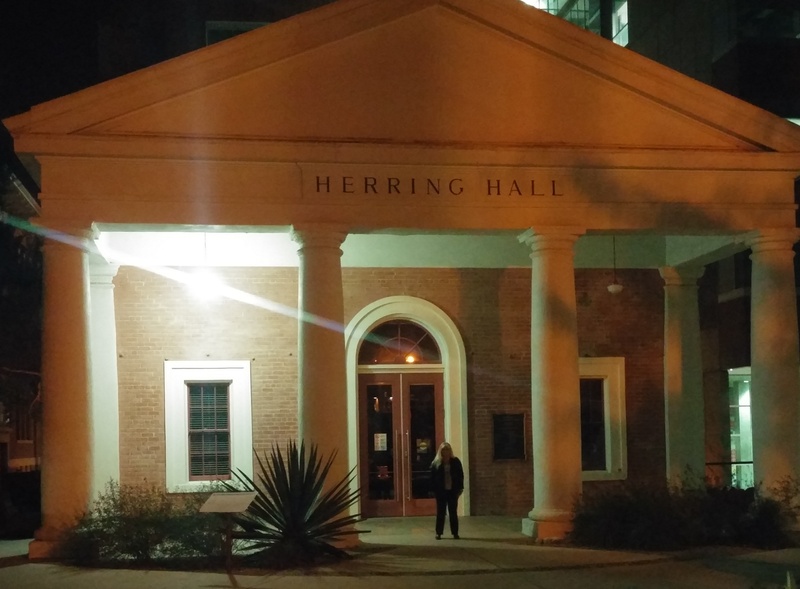 Herring Hall. Built in 1903 it has a strong presence of old academia, and if you can have a crush on a building, well, I have had a crush on this one for 30 years! 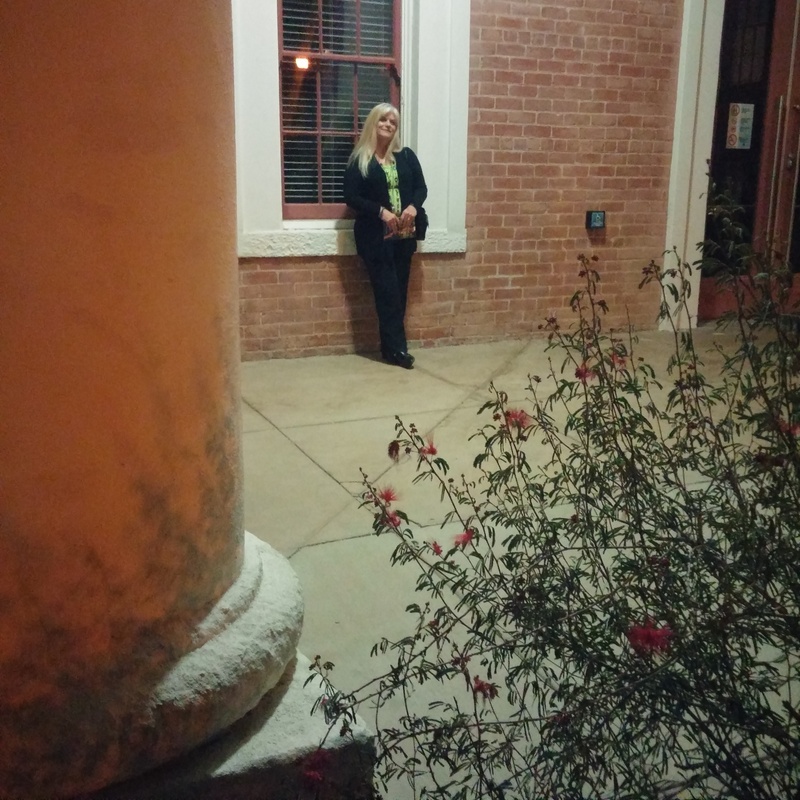 I love touching and caressing the old red brick-waiting for them to tell me stories, looking in the darkened windows for reputed ghosts, and hugging the massive columns. It was the first time I had my photo taken with it and I know it was happy to be remembered. 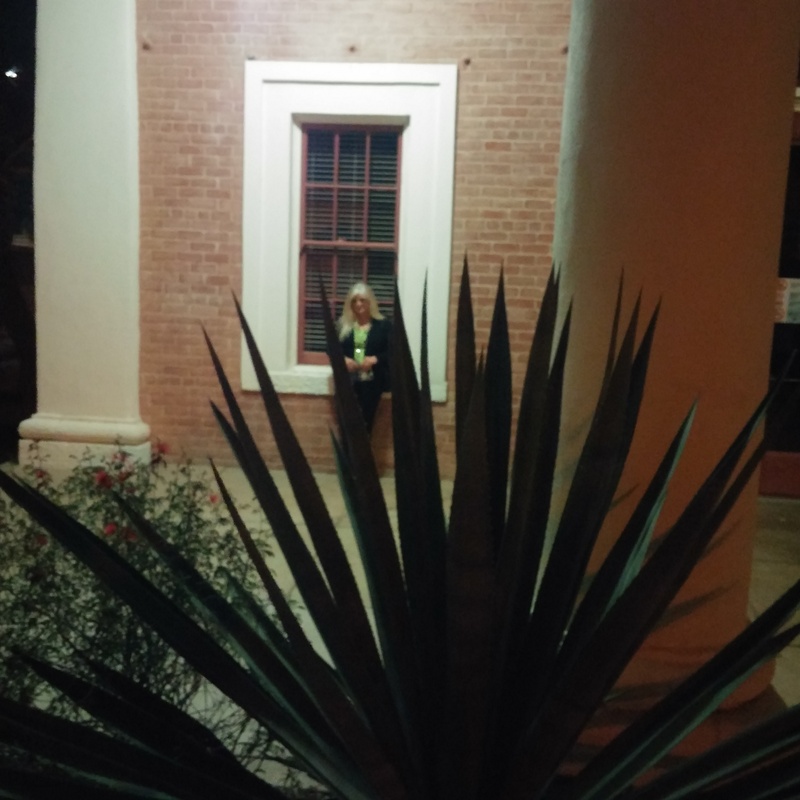 I wanted to linger and walk around it, running my hands across, capturing the feeling of a small, old, but majestic academic structure that is being crowded out by the new and architecturally splendid edifices spilling out all over campus. New is good and fine, more attractive to youth, and technologically adapted to the future, but the beauty of this one shouldn’t ever be overshadowed or dismissed. It has served the University of Arizona well and continues to offer it’s space to the needs of generations to come. I said good night to my building, finishing off my wonderful birthday celebration. Do you have a special place, space or building that touches your heart and mind? I would love to hear about it. I just had the absolute best time. My nephew is painting my house, he’s a pro. Yeah he’s getting paid. Anyway, his daughter, my so extremely cool niece Trinity and her buddy Casey came by. They live just down the road so the girls walked over to ride back with my nephew Kris. I turned on the music (of course) and I began doing my aunt duty by giving them lessons in wine tasting, mind you no one underage drank anything, but I showed them the finer point of wine tasting. Using a Malibu red blend I demonstrated what to do and what to look for. They took to it like the pros I expected from them. Trinity is related to me, and Casey is her friend so is awesome by association. We talked, pretending to be grown ups as I described varietals and the best year for red grapes. We made fun of people who drank fruity wines and sweet Rieslings, you know the routine. It is my duty to help. Then we went into my office and Trinity saw the books were being packed up and my laptop open. This girl knows me well. We started talking about my writing and what they had happening in their lives. Such cute girls. These are the girls I did the Cupid Shuffle with at my nephews graduation party, but I digress. I said, “Listen to this song,” and I played Walk Away by Kelly Clarkson, then Try Me by Jason Derulo. Then I played…House Party by Sam Hunt. There was excessive teenage girl squealing and then the three of us proceeded to sing at the top of our lungs and dance like it was a Hollywood dance club! We were laughing and singing and dancing and the years between us were gone. I think this needs to happen very often. I had an eye appointment today and the first thing I noticed when I was walking into the big building of doctors offices was there were lots of “old” people coming and going. Blue hairs I call them. My eye doc, who is really great, is retiring to Florida. Bummer, Chuck and I both like him. He is mellow and works quickly. Gonna miss that guy. Eyes haven’t change much, that’s good. I have small cataracts, that’s bad. Did I really say that?? Please God, I’m not old, right? In my head I’m 30. I was skinny and energetic when I was 30. No reading glasses, I could jog a mile without breathing hard and I could drink and dance all night if I wanted. My kids were little so I knew I wasn’t old. I worked for almost 10 years at the University of Arizona and it was one of the most fun jobs I ever had. Primarily because I was around young people all day. It was great. The best part was hearing about their fabulous and crazy college aged lives. I heard about who they were hanging out with, where they were going for vacays and the parties they hit on the weekends. I felt younger being around them. They cheered me and kept me from the oldness feelings. For years before that I had worked in the medical field in hospitals and private offices. I found I spent my time talking about doctor appointments, medications, sick days, and aches and pains. Not getting ready to go to the beach or bar hopping with friends to meet people. It made me feel old and I started to sound like these grumpy people. Right now my Sirius car radio is on the “top hits or Z100 or coffee house”, my Pandora is on the “Mark Ronson station or today’s hits”. I’d love to hit the dance clubs and get sweaty dancing all night, but they look at me funny. Ok, Chuck isn’t a dancer. So I’m not that skinny girl who closed the bars when she was 22 but I’m still fun. Just try me! My son said I was loud about everything. I think it was a compliment?!?! I’m not typing in all caps, right?